On Thursday after work I got the binding stitched down to the front of the You + Me quilt. I used a lot of the remaining fabric from the front for other projects, so I went with a scrappy binding. 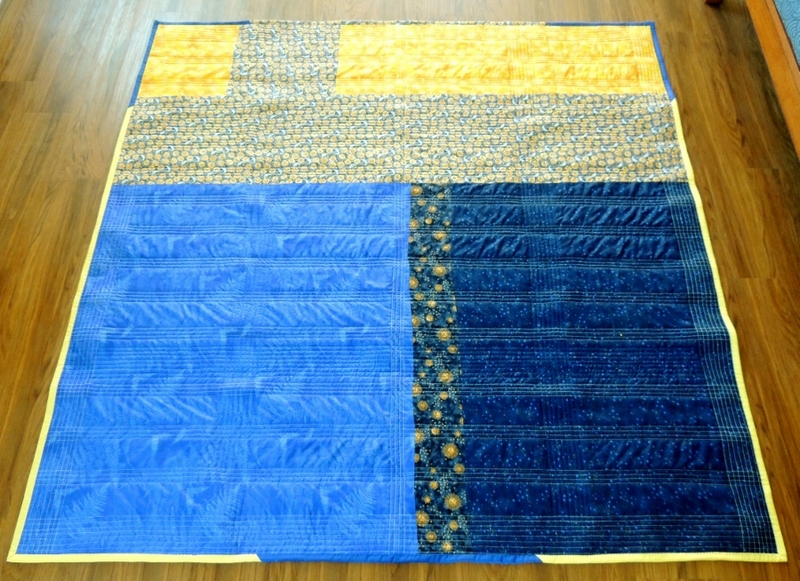 I used the last of the yellow and blue from the front and a bit of the backing fabric to make it all the way around. 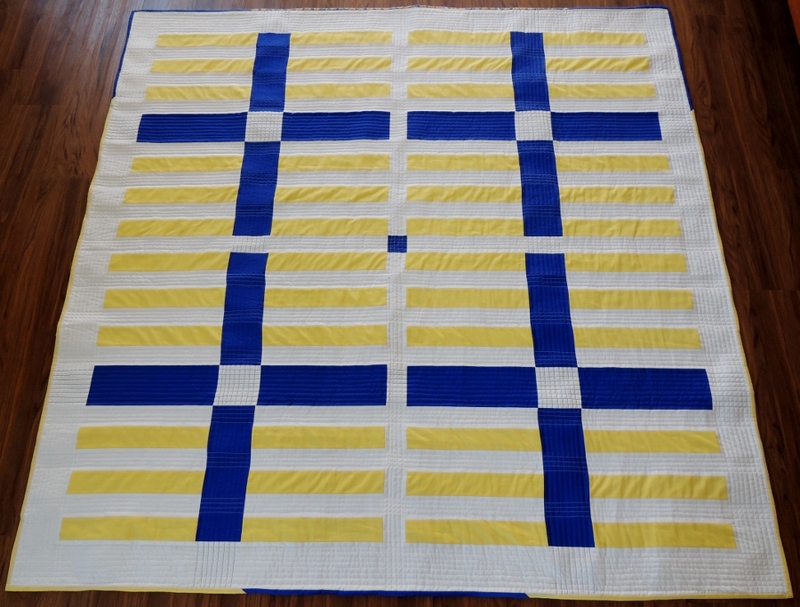 And on Friday, I got the whip-stitching done to finish this quilt! I have seen a lot of great tutorials on machine stitching on binding for quilts, and I’ve even given it a go on my Modern Stained Glass quilt, but I have to say that I actually enjoy hand stitching down the binding. I’ve had a lot of practice at this point, so it doesn’t take too long, and it provides me with a bit of quiet solitude and time to think, reflect, and basically meditate. You + Me – Complete! Linking up to Fabric Frenzy Friday! Oh, I love how this turned out! So modern! You did a fantastic job!